This is the story of three adorable cartoon animals, a wooden block, and the profound wisdom of my 9-year-old daughter. Linny, Tuck, and Ming Ming too! It was that hectic hour before school, and I was scrambling to get breakfasts ready, lunches packed, and children dressed and off to their various destinations. 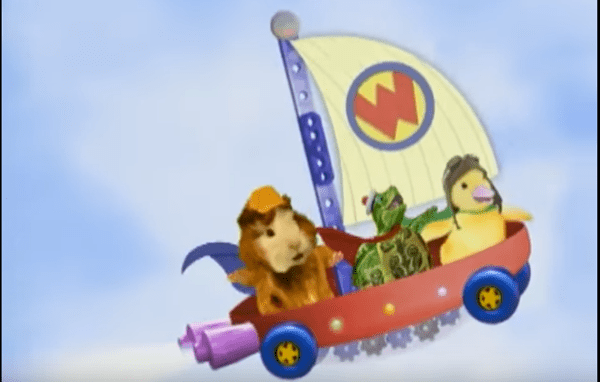 To aid me in my morning rush, I was letting the children watch my little one’s TV show of choice: episode 17 of season 3 of “Wonder Pets.” It has recently become her go-to show that she will manage to watch a seemingly infinite number of times before she gets bored, so I’ve memorized most of it. Trying to seize a moment to engage her growing brain, I rushed to watch the opening scene of the second half and attempt a teaching moment. But I was the one who got schooled! 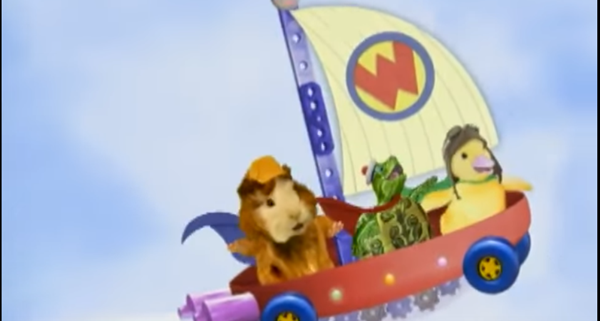 In a lesson on voting as a way to resolve differences and make decisions, the scene opened, as always, with the Wonder Pets – Linny the Guinea Pig, Tuck the Turtle, and Ming-Ming Duckling, facing an obstacle in their classroom home that would later parallel the the main conflict of the story. They need to protect a family of meerkats from a fearsome jackal, but their mode of transportation, the “fly boat,” has a ripped sail! Oh no! How will they fly in to save the day when their flying boat’s sail is torn? Both Ming-Ming and Tuck have ideas to replace the sail. Wise leader Linny suggests that they present their individual ideas and decide the matter with a vote. Ming-Ming enthusiastically recommends they replace their old sail with a wooden block. “I know a block seems strange. But a vote for a block is a vote for change!” she sings. Soft-spoken Tuck, on the other hand, presents for consideration a pair of cloth boxer shorts comparable in size to the original sail. When each animal votes for their own idea, Linny breaks the tie by voting for the shorts. Dejected Ming-Ming threatens to quit until Linny quickly convinces her that now that the vote has been cast, they all need to be on the same team. Differences are quickly set aside as they fly, with the adequate replacement of the shorts for a sail, to save the meerkats. Well, by this point, my younger daughter had lost interest in the lesson and the show altogether, but I was, at the risk of sounding over-dramatic, awestruck. “I bet that’s what Ming-Ming was thinking all along,” she continued. I wasn’t sure if she really thought that, or if she was trying to teach her little sister a lesson in seeing the best in people and putting the best possible interpretation on ideas others might dismiss. But her mother sure learned that lesson! “I love the way your mind works!” I exclaimed, giving my daughter a big hug. I’m sure the show presented two wildly contrasting choices to make the vote, and the concept of voting, easy for children. But my daughter, as always, took the lesson a step further. She considered the choice that was meant to be rejected as preposterous and found its merit. And instead of ridiculing the “loser,” she saw potential genius by thinking outside the box. I know that it was her keen ability to see the best in others that guided my daughter’s thought even in that fraction of a moment. This instance was a testimony not only to her sharp mind, but to her compassionate heart. We could all learn so much from my daughter. How often do we dismiss ideas, and the people who voice these ideas, without trying to consider another perspective? How often do we let our own understanding of the world lead us to dismiss those who may come from a completely different angle? What would happen if, instead of dismissing different perspectives as too far-fetched and ridiculous, we opened our mind to the possibility of being wonderfully surprised by something we had never considered? What if, instead of dismissing ideas, we allowed ourselves to be wonderfully surprised? I sure wasn’t expecting such a profound insight to stop me in my tracks in the midst of my morning madness. My daughter didn’t just make a brilliant point. She completely re-oriented me. I try so hard to write about seeing hope, having faith, and finding love in a harsh, broken, and often cruel world. But I spend so much time bogged down in news and polarized politics that I often feel cynical and hopeless. And I had forgotten my own principles in the midst of a teaching moment! I had almost taught my younger daughter that an idea was “silly.” But my older daughter turned the situation around, honored the rejected idea, and saw best in a wooden block. Later, when I told my mother about her granddaughter’s amazing insight, she said it reminded her of a famous Michaelangelo quote: “Every block of stone has a statue inside it, and it’s up to the sculptor to discover it.” My daughter has the heart and mind of an artist. She can see a block of wood and carve away all the excess that masks its true potential until she whittles it down to the propeller hidden inside. The Raven ReView will be taking a break for about a month. I’m going to use this time to try to clear my mind and open myself to the wonder and mystery of life around me, especially in my loved ones, especially in my children. I’m going to treasure the wonderful blink-and-you-miss-them surprises that catch me off-guard. I’m going to take a cue from my daughter, open myself to the best in people, and hopefully come back to my writing with eyes and hearts refreshed. When we carve away the chaos and cynicism that obscures our vision, we will see anew that at the heart of this messy, broken world, there is hope, there is joy, and there is love. Until next time, peace be with you all.